A full refurbishment and contemporary addition to the back of an A-listed town house in Edinburgh’s best Georgian street. 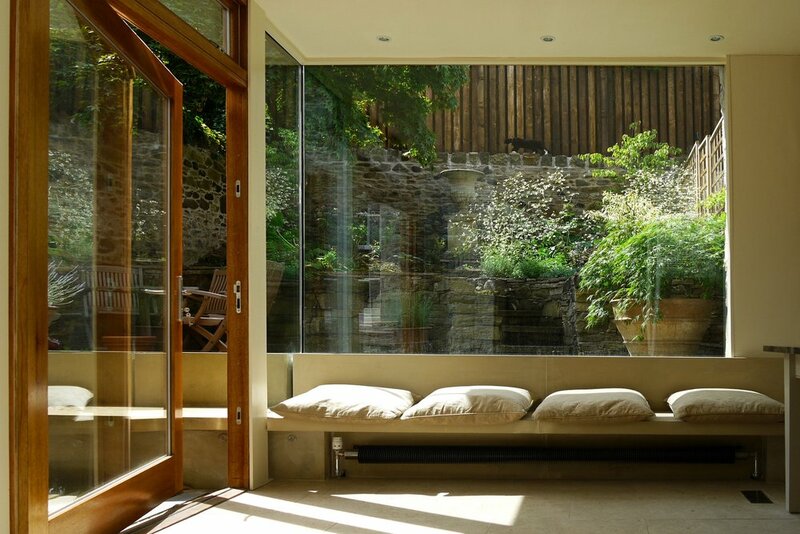 Intersecting planes of materials enclose a garden room that draws the carefully landscaped garden into the house. 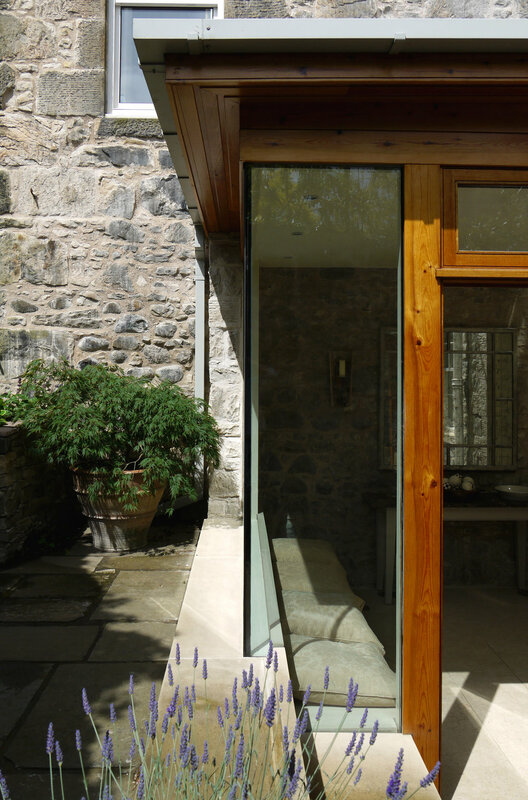 Frameless roof glazing casts natural light down the stone walls to highlight its colour and texture.